•	A pedestrian cut through walk into to town (10mins) in the evenings make a pleasant walk. •	The chalet has a single room. 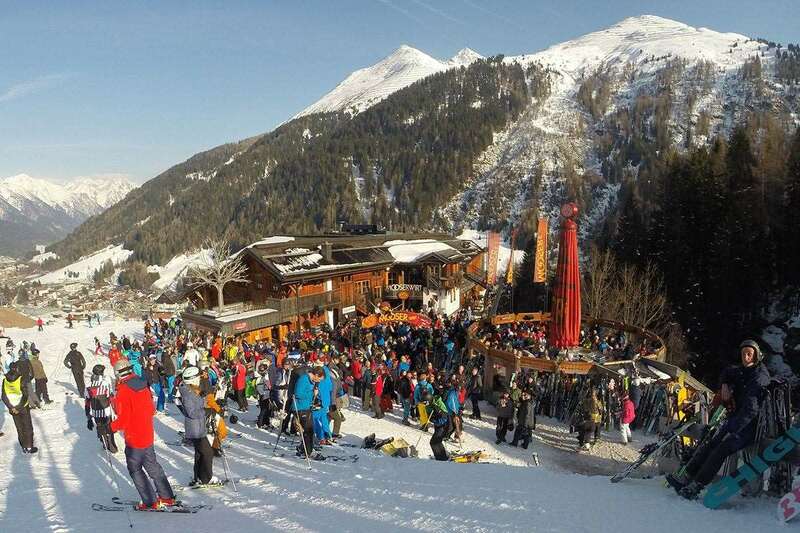 The chalet Baren is superbly located near the Nasserein gondola, enabling you to ski back near to the property. There is a pedestrianised cut through down to the town, making it a pleasant 10 minute walk to the picturesque centre of St Anton. The Baren is a basic but comfortable chalet. Importantly, it has a single room, making the Baren a good option for odd numbered parties and single travellers. Chalet Baren is in a first class location for the skiing. The piste is 30 metres (approx) from the back of the property and a gentle 200 metre ski from here is the Nasserein Ski School and the Nassereinbahn gondola lift. For much of the season it is possible, in normal snow conditions, to ski back to the chalet. In the picturesque hamlet of Nasserein, the oldest part of St Anton, Chalet Baren is a 10 minute stroll to the centre of this attractive and lively resort. Just wanted to say what a great week we had. The chalet was very good, clean, and the food fab, thank you John. And thanks to James, Natalie and Sophie for being so helpful and friendly, it makes such a difference, there was a very relaxed atmosphere.